The light lingers longer in the evenings. And you despair less and less each day. The sun is warm, when the wind dies down. The sky is a perfect blue. There are still moments where the darkness creeps in. But it's not the same penetrating black thing as before - it's a crepe-colored grey, with cracks of beauty seeping in. Flashes of light. Glimmers. Amid the dead, dry leaves from last fall, when the bleak days began, there is life. 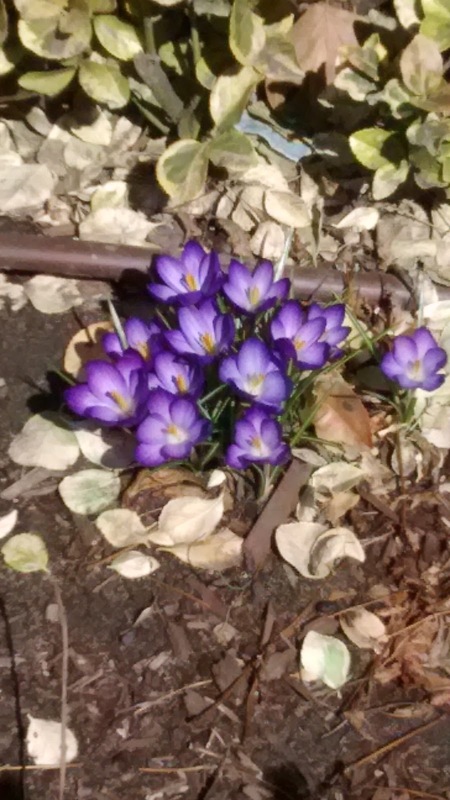 Daffodils, and crocuses are starting to peek their cautious heads out. That's how I feel. I saw some one 80th st! yay! it's really coming!